It must have been a slow news day if this made it to the front page of the Vancouver Sun. 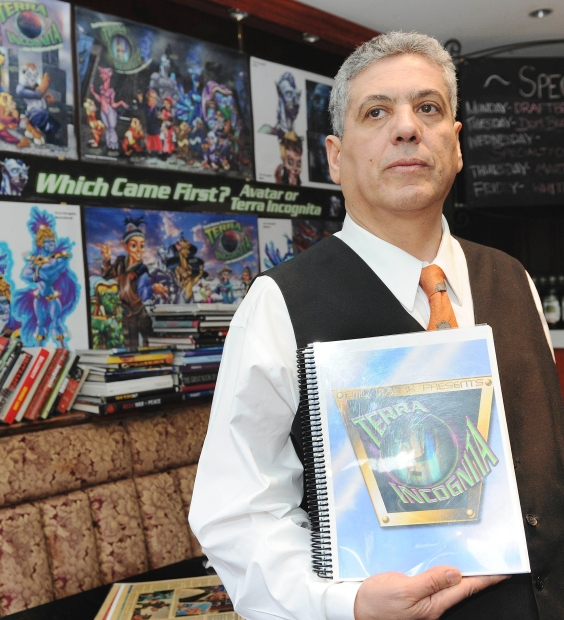 Vancouver restauranteur Emil Malak claims that James Cameron ripped off his script, called Terra Incognita to create his Billion-dollar blockbuster Avatar after Malak sent the script to Cameron in 2002. It seems like one of these stories comes out every time there’s a major cultural blockbuster. It happened with the Matrix and it’s happened with Harry Potter. Usually we never hear about these cases being won, and we never hear about the plaintiffs going on to create anything culturally significant. No matter how this case ends up, can we all agree that real creators don’t engage in this kind of crap? If you’re really concerned with entertaining the world with your stories, you don’t want to deal with lawyers and court cases that could go on for decades, you want to get back to your laptop and make more stories.